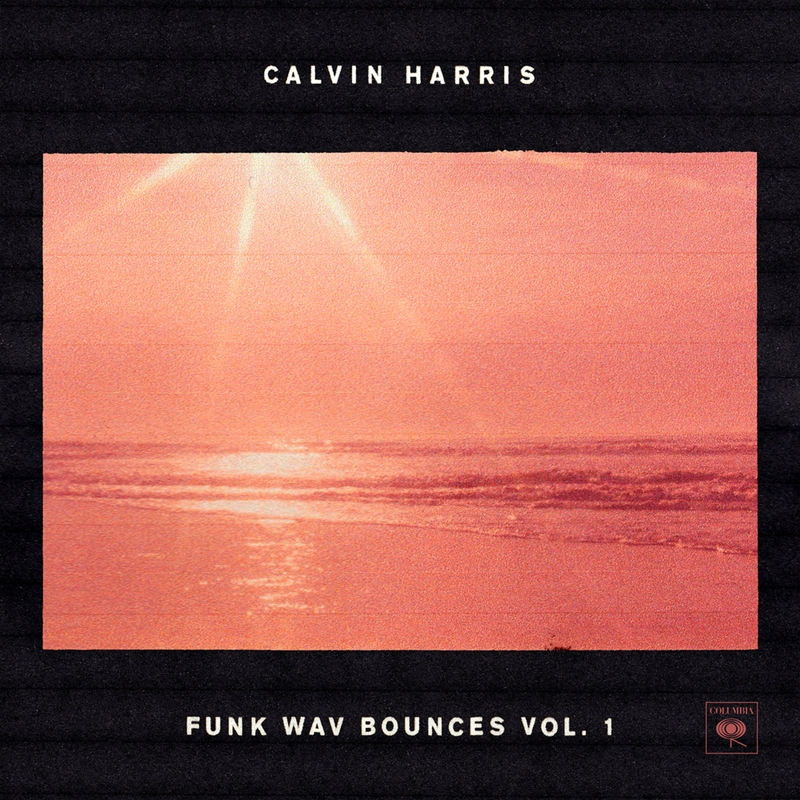 Calvin Harris delivers a feelgood funk album with a bizarre choice of vocal guests. I was not the biggest fan of Motion. A summer anthem called ‘Summer’ and a bunch of sterile tunes with precisely timed drops convinced me that the EDM mogul was now getting robots to write his songs. A video of paint drying was all I could muster as a review. Given that I’ve got a softspot for disco, Funk Wav Bounces Vol 1 seemed almost certain to be a superior album – and indeed it is. ‘Slide’ immediately brings its listeners to the poolside with its organic disco grooves and buttery singing courtesy of Frank Ocean. The only thing preventing me from pouring myself a pina colada and pulling out my sunlounger is the out of place presence of the Migos (we’ll come to that in a sec…). As the tracks continue, a red carpet parade of A-list guests take to the mic. It’s enough to outdo even the recent Gorillaz album Humanz, which I described as a party round Jay Gatsby’s place. ‘Feels’ may be the greatest posse cut of the bunch featuring Pharrell Williams, Katy Perry and Big Sean all on one track. Here Calvin draws the best out of every guest, accompanied by a contagious Chic-esque bassline and bouncy reggae guitar strums. Sadly Calvin’s casting decisions aren’t quite as astute for the remainder of the album. In fact, there are some tracks in which the guest choices are plain confusing. Rather than phoning up the likes of Justin Timberlake or The Weeknd to croon over these sunshiney melodies, he’s instead invited his traphouse contacts along. As a result, we get artists like Future and Lil Yachty - who should be riding rumbling 808 bass and skittering hi-hats – attempting to rap awkwardly over smooth disco instrumentals. Some of the artists just about pull it off. Takeoff from Migos is able to match the old-skool g-funk tone of Snoop Dogg on ‘Holiday’, although his auto-tuned warbling on ‘Slide’ feels very out of place. Young Thug’s rapping on ‘Heatstroke’ meanwhile is some of his most controlled to date, even if his attempt to passionately sing ‘the love you got for mweee’ ends up like a bad Miss Piggy impression. Others simply don’t try to match the mood including Nicki Minaj and Future, laying auto-tune-drenched warbling over the tropical instrumentation. They may as well be trampling over the palm trees and sunbeds in a monster truck whilst rolling coal. Perhaps with less trap rappers and more soul singers, Funk Wav Bounces Vol.1 could have been able to rival Mark Ronson’s Uptown Special. It certainly feels fresher and cooler. However in the effort to be cool, Calvin may have gone a little too far with his choice of guests.